The Magellan RoadMate 9616T-LM is a full-featured GPS with an extra-large 7” high-resolution color touchscreen that provides safe, hands free vehicle navigation. It combines all the essential navigation features you’d expect from a Magellan premium GPS navigator like red light and speed camera alerts, Landmark Guidance, Best Parking and Free Lifetime Map Updates and Traffic Alerts. And newer features such as Driver Alerts, Route Area Avoidance, and 3D Landmarks. 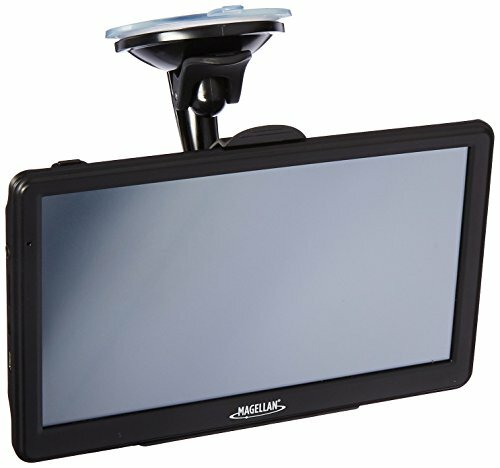 The Magellan RoadMate 9616T-LMGPS Navigator, designed to help drivers save time, money, and travel safer.